I. Ferne Soukup was born June 16, 1918, to Reuben and Edna Mefferd east of Woodbine, Iowa and was raised there on a farm. After high school, she taught in various rural schools in Harrison County, Iowa. On June 26, 1938, Ferne married to Lester F. Soukup. They lived in Clarinda, Iowa, and Atlantic, Iowa before moving to Woodbine, Iowa in 1943 to the family farm where they had two sons. Roger R. and Richard C. In 1996 she moved to Omaha, Nebraska where she began reading to children at the Skinner Magnet School, a program sponsored by an Omaha Kiwanis Club. She returned to Woodbine in 2017. Ferne was a devoted member of the First United Methodist Church in Woodbine serving in many capacities. She especially enjoyed working with the youth and taught Sunday School for over 20 years. 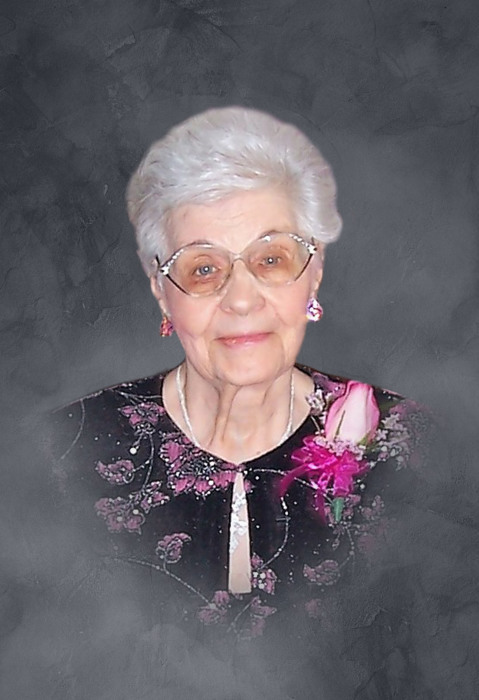 Ferne went to be with the Lord on Sunday, April 7, 2019, at the age of 100 years, nine months, and 22 days. Ferne was preceded in death by her parents; husband, Lester Soukup; two sisters Donnabelle Stephany and Maxine Jenkins; and her eldest son, Roger Soukup. Ferne is survived by her son, Richard Soukup and his wife Linda of Houston, Texas; daughter-in-law, Jan Soukup of The Villages, Florida; three grandchildren, Timothy Soukup of Royal Palm Beach, Florida, Mark Soukup and his wife Lila of Scottsdale, Arizona, and Liane and her husband Daniel Chlebowski of Houston, Texas; three great grandchildren, Gabriele and Brianna Soukup and Chloe Chlebowski; and many nieces and nephews and their families and friends.